According to the Facebook event page this is not a signing event and limited space is available. 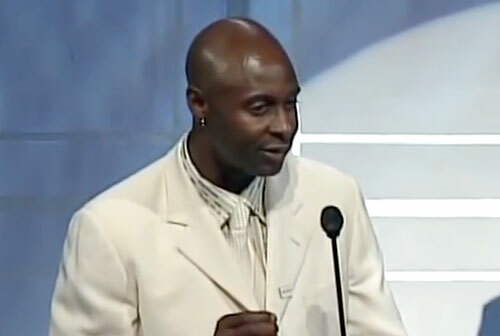 Jerry Rice is a retired NFL wide receiver who played for the San Francisco 49ers from 1985–2000, the Oakland Raiders from 2001–2004, the Seattle Seahawks in 2004 and the Denver Broncos in 2005. Rice is a three-time Super Bowl Champion for Super Bowls XXIII, XXIV and XXIX plus he was MVP for Super Bowl XXIII. Rice is also a thirteen-time Pro Bowl selection for 1986 through 1996, 1998 and 2002, a ten-time First-team All-Pro for 1986 through 1990 plus 1992 through 1996 plus he is a two-time Second-team All-Pro for 1991 and 2002. Rice is the six-time NFL receiving touchdowns leader for 1986, 1987, 1989 through 1991 and 1993. Jerry Rice was inducted into the College Football Hall of Fame in 2006 plus he was inducted into the Pro Football Hall of Fame in 2010. PFP Sports Talent Agency is a top booking agent for motivational sports speakers and sports personalities. If you would like to book NFL stars like Jerry Rice for a speaking engagement, personal appearance or special event, you can request Jerry Rice agent and speaker information from PFP Sports Talent Agency or call 800.966.1380.